Am I able to see the traffic on My Google Analytic? Answer: YES! All traffic is 100% trackable on Google Analytics.. I have placed my order, when my order will start? Answer: As we have to monitor/test any single URL manually there would a waiting time of 3 hours to 3 days for Targeted. As have always do our best to get the orders started as fast as possible and average processing time is about 12 hours. Why is your service is better than any others? Why Should I choose your services? Answer: Well, TargetedWebTraffic.com is built on honesty and integrity. We began this business in the beginning of advertising technology and currently serve over 100000 very satisfied customers. We are professionals and over 80% of our customers are REPEAT customers due to the professionalism and great traffic they receive Most other traffic services send very poor traffic. In fact, if you use their services, most users will NEVER SEE YOUR SITE! This is because most services use tricks to load your page without ever being seen – indeed, they send the same visitor to tens or even hundreds of sites! The worst part is that they never even tell you… your counter moves, but you make no sales! Remember to ALWAYS ask what type of traffic when getting price quotes with other traffic sellers. Always ask if it is ‘IP Unique’, how many hours old (example: 24 hour or 12 hour) and generally, what percentage of the campaign is unique (example: 60%-80% or 100% FULL CAMPAIGN unique like ours!). How do you send traffic to my website? Answer: Depend on the type of traffic you purchase, we send different traffic. e.g. for Targeted Traffic, Organic Traffic , US. State Web Traffic, Alexa Traffic, Targeted Mobile Traffic and Social media Traffic, we send the traffic from expired or parked domains, Search Engines (Google, Bing & Yahoo), Direct Links & Display Text & Banners. Everyday we purchase abandoned domain names that have traffic on them. We purchase them to either resell them or to redirect the traffic to your website. These domain names had a previous website on them previously that fits into our targeted categories. Basically, all we do is redirect that traffic coming from these websites to your website. When you make a purchase, one of our IT specialists will visit your website and, whether you specified a target or not, we will target it further so that we send you the very best visitors. It is in our best interest to do so, if you generate sales or contacts chances are you’ll be back for another purchase. These abandoned domains have traffic on them, and the previous owners either listed them on search engines, on lists and marketed them so you now reap their hard work by having us direct this traffic to your website. Expired Traffic is pumping visitors to the Targeted, Alexa, US State and Mobile Traffic. This type of redirection is better than a popups (web surfers don’t like popups, it interrupts their online browsing) or popunders. Targeted Organic Traffic: This traffic is driven from major search engines such as Google, Bing & Yahoo which it comes from a very sophisticated system that targets your keywords within search engines. Direct Traffic: The traffic source for this advertising is direct link which will be displayed on the different websites. Other type of services are using the Google search results, Banner & Text Display banners hence they are more expensive. Answer: Yes! With every campaign your website is visited by an expert technician. Your website is evaluated and targeted for the best possible traffic. It is in our best interest to do so as a happy customer is a repeat customer. We divided our expired domains in over 500 categories you can choose from. Thanks to this accurate targeting process, we guarantee that we will send to your website only visitors interested in your product. We don’t deliver just”hits”. We deliver potential customers. and you can track this visitors on your Google Analytics. Where does your traffic come from? Tell me more about your sources! As well just as important as traffic quality is targeting. There are basically two things you need to consider when you think about traffic targeting. One is where the traffic comes from and the other is how the visitors are “chosen” to see your site. You may not know this, but many companies will try to fool you into thinking visitors are coming to your site by putting your site in a mini frame with a hundred others, using a script to generate hit after hit, etc. Try asking the competition where the visitors come from, we bet they won’t tell you. If you purchase targeted visitors, they could come from Altavista, Lycos Network, Mamma.com, Netflip, and many other independent sites. Why are your prices less than most other traffic brokers? Is the quality as good? Answer: Volume & being wholesaler! Not only are our prices less, but our quality superior as well. We deal with so much traffic, we are able to keep our prices very low and save you money. We receive many customer inquiries before purchases are made voicing their concern as to why our prices are so low! There are many other resellers out there with prices sometimes 10X our amount and guess what, the resellers buy from us! That is how low our prices are. We dare anyone to test our service, price and traffic quality! Being a wholesaler, most of the traffic brokers in the market, purchase the services from us! Do you offer stats so that I can keep track of how many visits I am getting? Answer: Yes! – Depending on the traffic type that you have ordered, we track the visitors through http://goo.gl (You will need a Gmail account to track), http://bit.ly, http://bit.do. The source of the traffic will be displayed as our Ad Servers. How long will it take to receive all the visitors that I have purchased? Answer: We guarantee that we will deliver ALL the visitors your purchased within 30 days. In some cases, we could take a bit more to complete the campaign. Many traffic companies can simply add popups or use other tricks (such as loading several sites on one page) to increase supply. Thus, those companies are rarely faced with supply shortages. Indeed, one should be circumspect when a company never seems to have supply problems. We do not have that option because our supply is limited by the number of real visitors we are able to locate. Because we insist on only delivering quality traffic, we cannot simply “add a pop”. Do you guarantee that I will generate more sales? What kind of conversions can I expect from a campaign? Answer: No. We do not guarantee anyone that they will generate more sales. However, we do guarantee delivery of the full amount of web traffic service that you have purchased or we will refund you prorated. In such rare case that we cannot complete the full delivery of service within specified time, we can either refund you or continue your service delivery until the web traffic service is complete. You have the choice to make that decision. We can NOT guarantee revenue results as they cannot control consumer behavior or buying patterns. If a traffic provider claims they can guarantee certain $$ results, I would be very skeptical and ask questions to understand exactly how they are guaranteeing this as it may likely be a scam. Sales on a website will depend on many factors including the website product, content, load time, layout, product pricing, presentation, service and more factors. We will provide the service of sending visitors to your website, your job is to generate these visitors into customers and we’ll do our best to achieve that. Remember, web traffic does mirror a ‘billboard’ ad. We recommend that (if possible) that you generate a special ad page for your web traffic campaign (instead of sending them to your websites main page) that may include a super special, an outstanding product or tope seller, weekly special or one time offer. Consider a web traffic campaign like a newspaper or billboard ad when you drive by on the highway, you have to get them interested to stay and make that purchase within seconds. Do you use programs to generate ‘fake’ traffic to my site? Answer: Absolutely not! TargetedWebTraffic values its solid reputation and considers this practice to be unethical. The visitors we send to your site are real people who want to see real sites. The bonus is that your visitors are sent to you because they’ve already demonstrated an interest in the same subject matter as your site. Not only does this improve your lead generation response rates, it will likely increase sales immediately. To make it even more attractive, our services are priced to make this type of lead generation affordable. 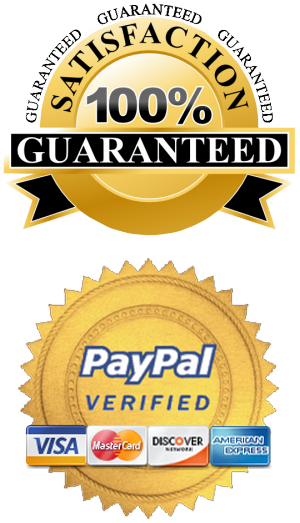 We 100% guarantee that we do not use any unethical software, bots, proxies etc. Do you spam or am I in danger of being accused of using spam methods? Answer: No. We do not promote your website via email advertising SPAM, we redirect visitors directly to your website as we have described above. You have no way of being accused of using spam methods with our service. I would like to know what is the uniqueness of the visitors. One visit per/? Answer: All visitors sent to your website are full campaign unique. That means you will not receive the same visitor twice for the entire duration of your ad campaign. What does the term ‘CPM’ mean? Can I see a sample domain, how it all works? Answer: No. We would not want any competing company to obtain our client lists in danger of spamming them or trying to obtain competitive sales. We keep all our customers purchases confidential and we do not want anyone to obtain any of our domains or customer lists to contact them with spam or to see who their competitors are. Therefore, we cannot show you a redirecting domain because you will be redirected to our customers websites and that is strictly confidential information. Can I see a test / demo order, how it all works? Answer: No. Simply because of the high number of requests, we do not offer any test or demo services. What we suggest to place a minimum order but we have to inform that there would not be any refund available. Majority of the time, customers place the second order once they place their minimum test order. Do you have any restrictions on the content of my site? Answer: Your site must be legal in the US, UK, Europe and any other country you target. We can only send traffic to websites with content that is appropriate for a general audience. Please, no sites with illegal content, hate text or sites that promote illegal activities. We don’t allow the presence of popup / popunder / sound / Auto Video / Frame Breaker Play on the URL that you advertise. If you have any, please remove it BEFORE you start your campaign. My campaign has been suspended, can it be restarted? Answer: Yes. Some campaigns are suspended due to either having a popup on the ‘landing page’ when the campaign was purchased as a no-popup campaign or having some other technical issues. In most cases, simply removing the popup(s) or creating an identical page with no popup option or removal of the offending script will allow us to reactivate and resume your campaign as soon as possible. If your campaign has been suspended, login and see what the reason was for its suspension and make the necessary change, then contact us via the Support Center here for reactivation. If you cannot remove it, please email us with a different URL to promote. We will then immediately change it and reactivate your campaign. Please don’t forget to include the order number of your suspended campaign. What if my hit counter does not show all the traffic I ordered was received? · Some statistic services count a visitor after 20 seconds. Our stats system tracks a visitor after 8 seconds. · The counter is inserted at the end of the destination page. · Check your site’s http/apache raw logs 3 days after your campaign ends. · Place the counter (or insert your tracking script) at the top of the destination page. I ordered a 10000 visitors campaign 5 days ago and I received only 400 visitors as of today. Is that normal? Answer: it is normal for your campaign to begin slowly and accelerate over time. Also, our system automatically throttles traffic to maximize your results so there may be periods during which your traffic stops. In any case, we will deliver all the visitors within 30 days. Answer: We have full customer support via email. We are a company and this is all we do. Many other sellers are people that do this is a hobby and are not there 24 hours a day, 7 days a week to answer your emails. This is all we do and we are professionals at what we do. Contact us from the contact page if you have any questions regarding our services or support.